Dr. Frederick areas of expertise include applied motivation, self-determination theory, and sport psychology. Dr. Frederick is currently a Professor in the Human Factors and Systems Department at Embry-Riddle Aeronautical University in Daytona Beach, Florida. Dr. Frederick received her Ph.D. in 1991 from the University of Rochester with a major in Psychological Development. 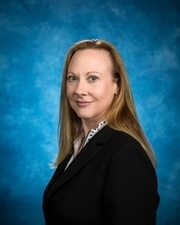 In 2000, Dr. Frederick joined the Human Factors and Systems Department at Embry-Riddle, where her work focused on motivation and human factors issues in applied domains. Dr. Frederick’s current research interests examine how individual differences interact with technology and games to understand performance. As well, she is engaged in research to understand how relatedness within and between individuals occurs in virtual environments. Dr. Frederick is the Director of the Game-based Education and Advanced Research Studies (GEARS) Lab at Embry-Riddle and is the author of over 50 journal articles and 60 presentations. Dr. Frederick received her doctorate in 1991 from the University of Rochester. During that time she was an active member of the Motivation Research Group, focusing on motivation issues related to health and sport domains. While at Rochester, Dr. Frederick was involved in training, development and consulting for the University Computing Center where she held a senior analyst position. Dr. Frederick also held an appointment in the Psychology Department where she taught Sport Psychology and supervised undergraduate research. In 1993, Dr. Frederick began teaching in the Psychology Department at Southern Utah University, in Cedar City, UT. At Utah, Dr. Frederick taught a variety of courses including: General Psychology, Social Psychology, Cognitive Psychology, Applied Research, Personality Theories and Sport Psychology. Dr. Frederick continued her motivation research focusing in areas related to sport motivation, coaching motivation and eating disorders. She spent a year as faculty senate president and sat on statewide curriculum and faculty governance committees. Dr. Frederick continued her professional development at the University of Central Florida -- Daytona Beach campus where she taught from 1998-2000 in the Psychology Department. At UCF, Dr. Frederick was active in the Faculty Senate and Psychology Advisory Committees. In 2000, Dr. Frederick joined the Human Factors faculty at Embry-Riddle. From 2004-2012, she served in various positions within University Administration, including Interim Provost, Vice President for Research and Graduate Studies, and Sr. Executive Vice President for Academics and Research. Dr. Frederick has more than 20 years experience in university administration, research and teaching. She is a member of a number of national and regional psychological associations. Professionally, Dr. Frederick has been a reviewer for research journals including: The Journal of Sport Behavior, North American Journal of Psychology and Perceptual and Motor Skills. She is currently a National Psi Chi Consultant and has had past experience as a reader for the Advanced Placement Test in Psychology. Dr. Frederick is a tenured full professor in the Department of Human Factors where she serves teaches in the undergraduate and graduate programs in several areas of psychology.